I don´t get any replies from my Jotforms sent to my mailbox? Only the TEST is sent to my infomail adress? Why is this? Hi, We are on Chat and you have left the conversation so I decided to answer you again over this thread. I've check the email address associated with this form, http://form.jotformeu.com/form/22252845019350 and its NOT in our bounce list. But the Sender Email settings aren't the one we recommend. 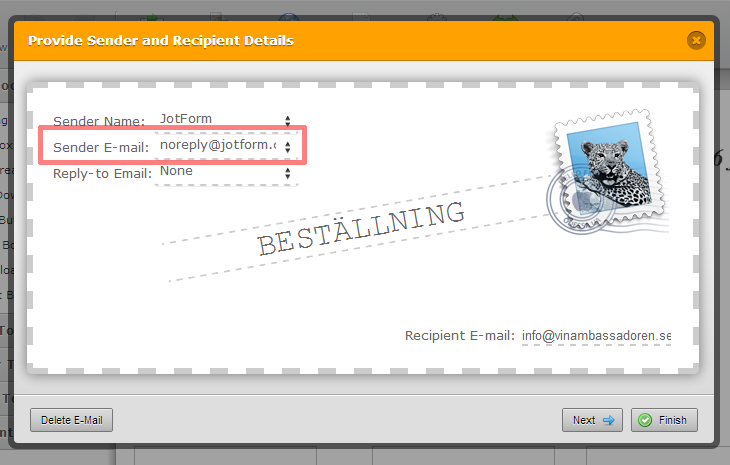 We suggest to used noreply@jotform.com as Sender Email, try this solution and let us know if it doesn't work. No other answers! Your help was satisfying! Thank you!